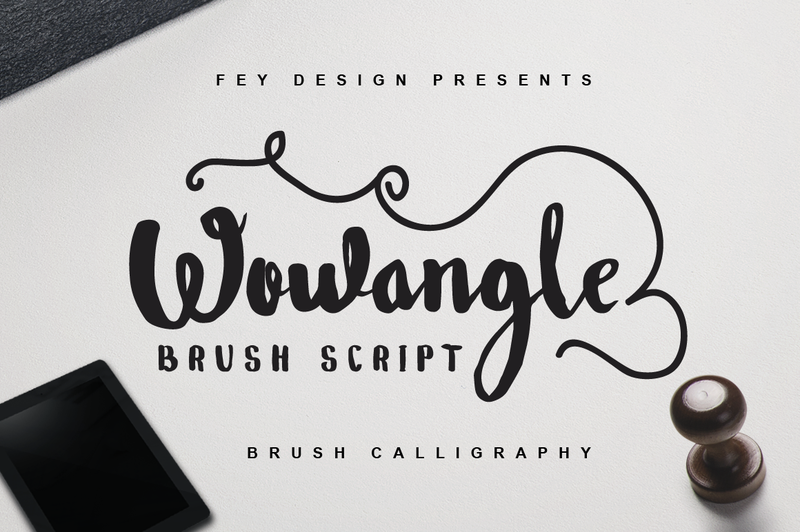 Wowangle is hand brush typeface with a vintage feel created and published by Fey Design, a design and typography foundry from Indramayu, Indonesia. Designed to look great and fluid on your canvas, Wowangle is suitable for element design, wedding invitations, events, t-shirt, logo, badges, sticker etc. Get retro looks with Wowangle! A font description published on Friday, March 18th, 2016 in Ferry Hadriyan, Fey Design, Fonts by Andrei that has 2,327 views.